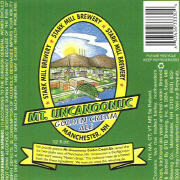 Brewed by Stark Mill for New Hampshire-based Milly’s Tavern. Overly foamy cloudy white-headed cream ale retains lime-y carbonation, uncharacteristic lagered yeast lightness, and unspecific tartness. Besides, creaminess lacks.